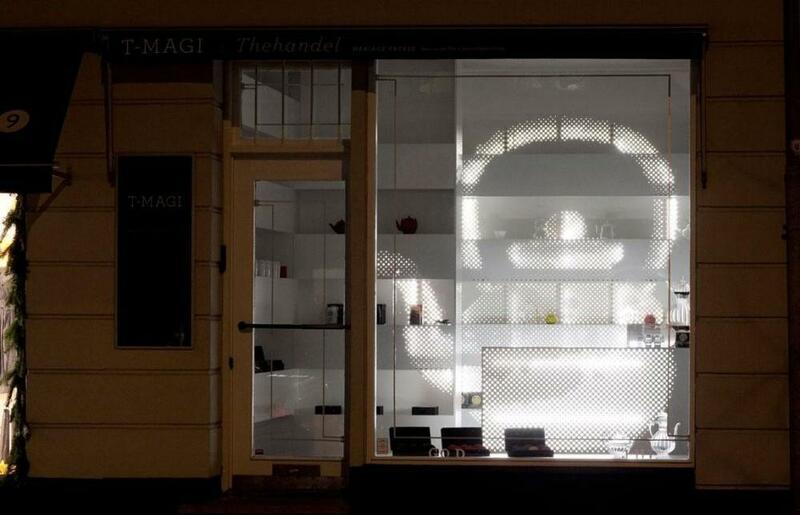 More »While many shops tend to have a clear distinction between storefront and interior, the design of T-magi is intended to allow the shop itself to be perceived as the display window. 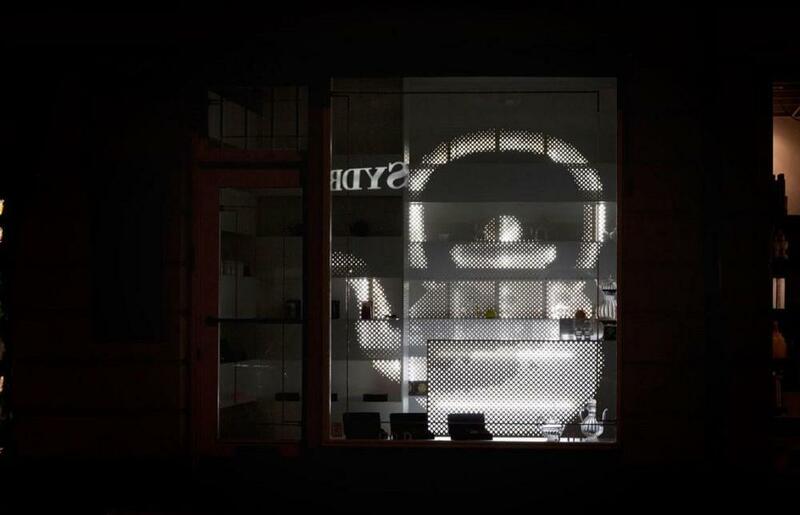 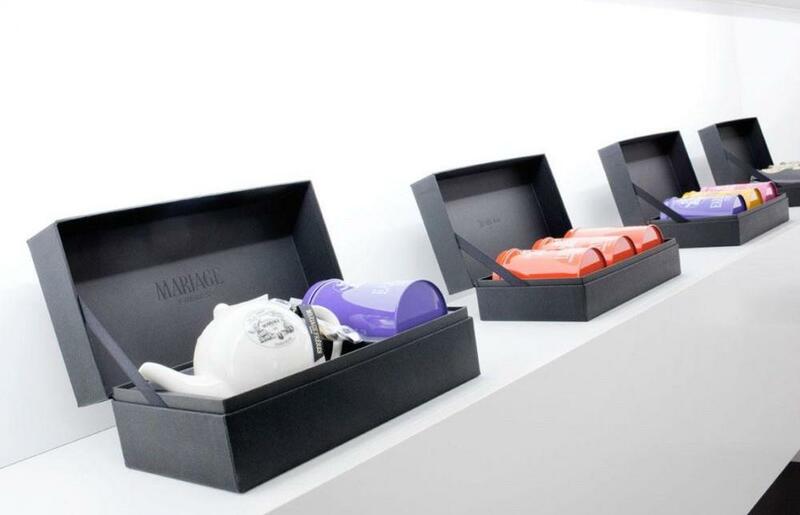 WE have used the teapot – an object universally associated with tea – as the motif for both the shop, the logo and the PR material. 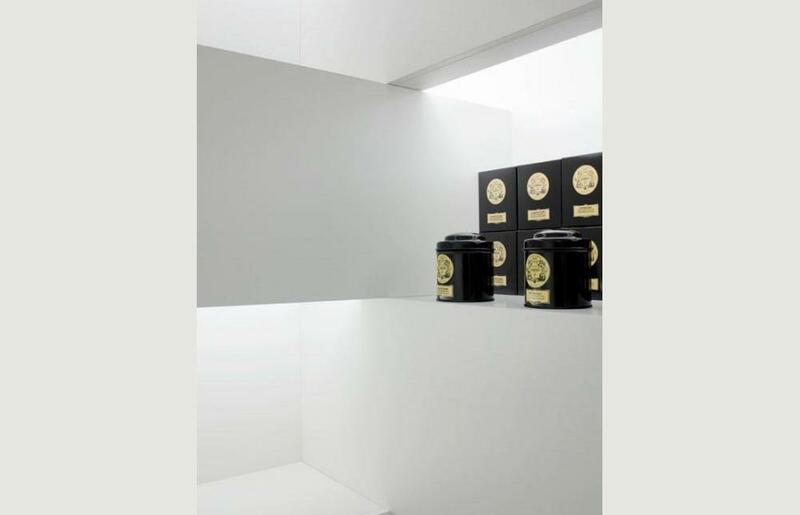 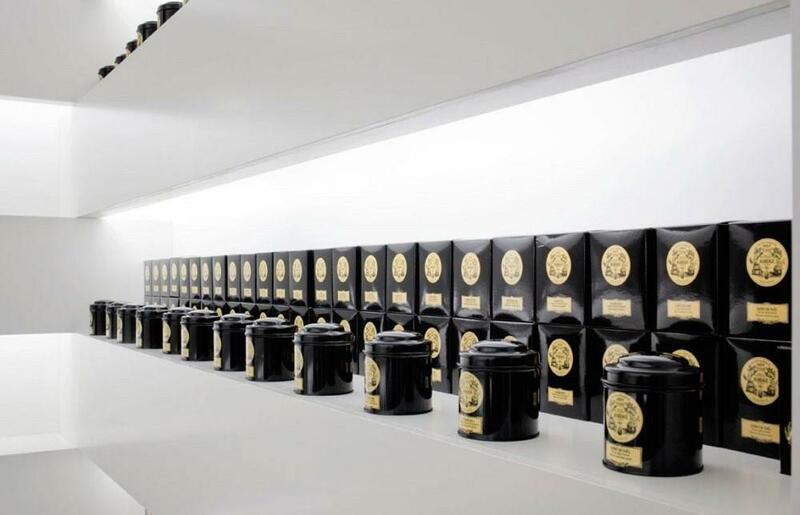 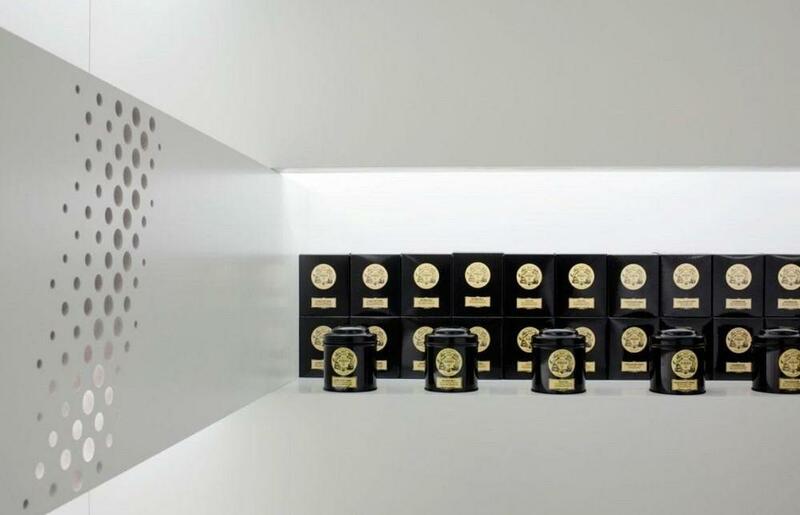 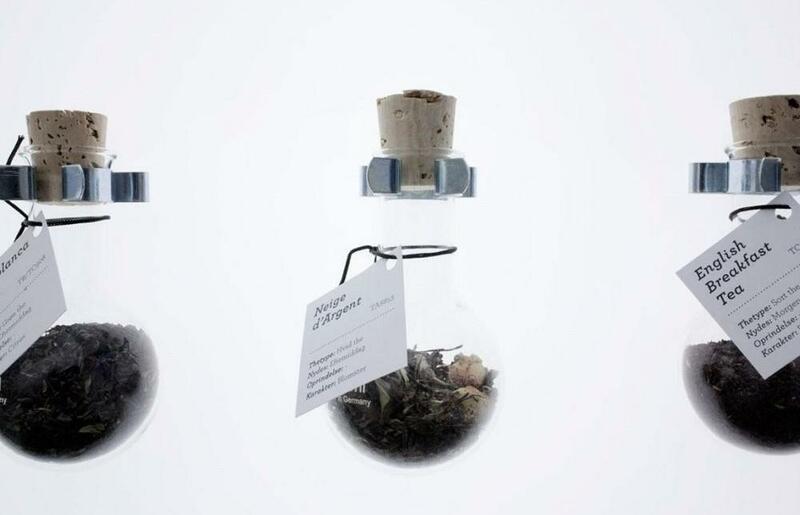 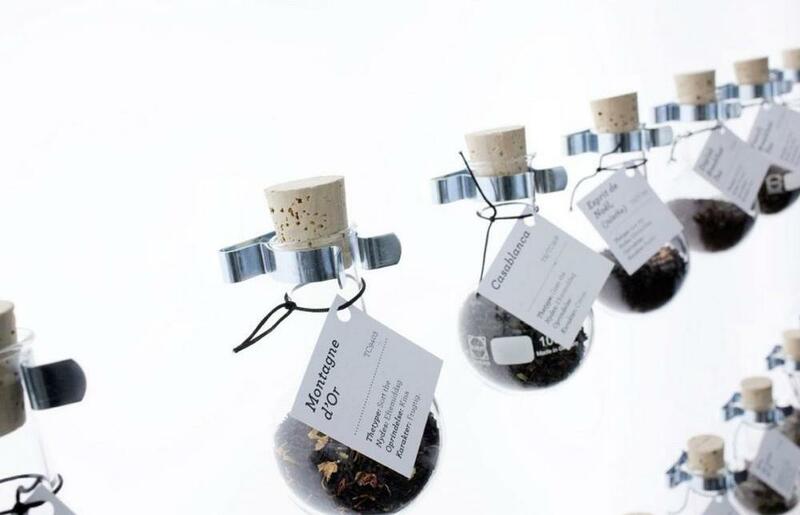 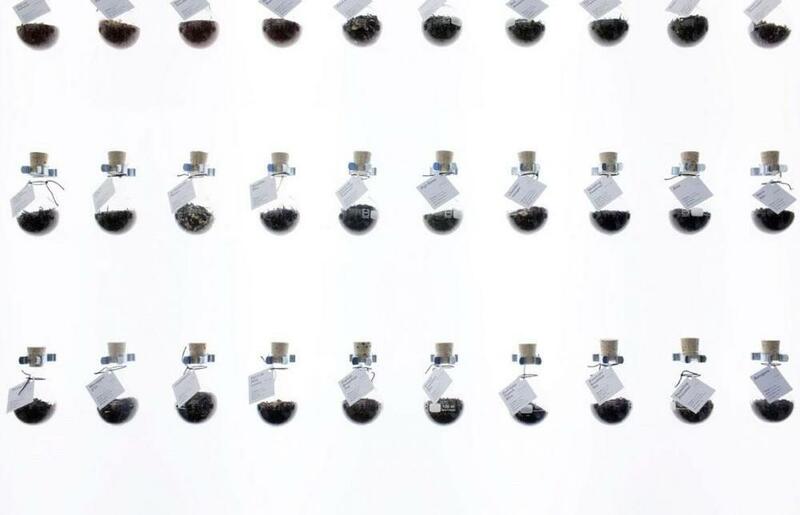 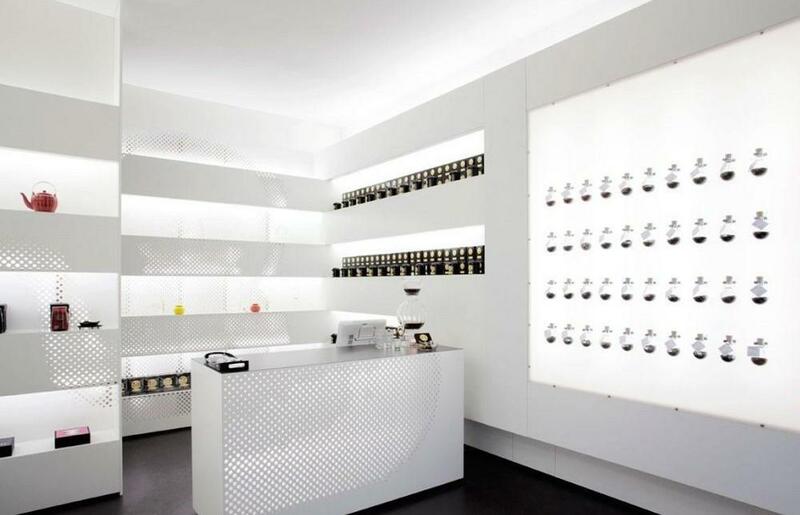 We’ve intentionally designed the shop to have a Lab feel to it, inviting people to pass by, smell the 40 different teas displayed on the scent wall, have a taste, read the WE-designed tea folder or simply browse the exclusive products of Marriage Frères sold in the shop. 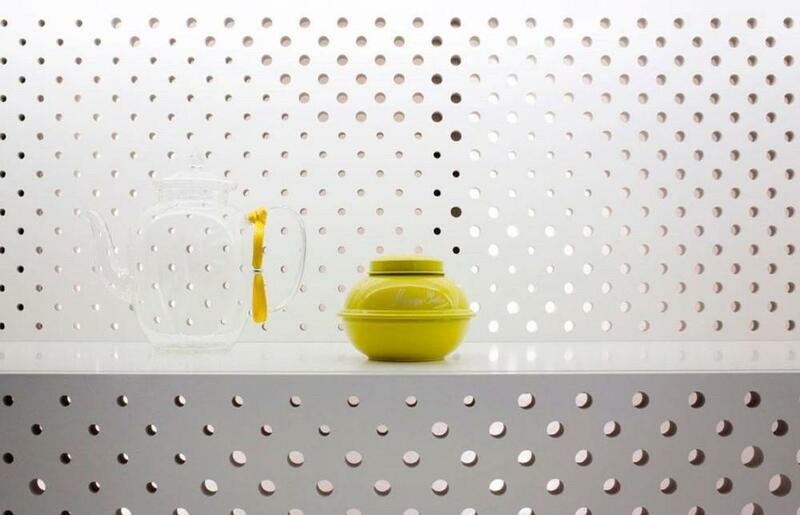 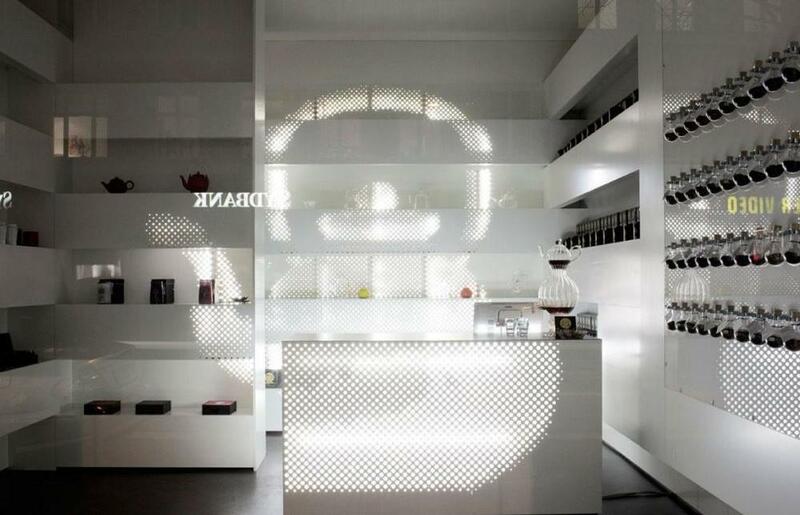 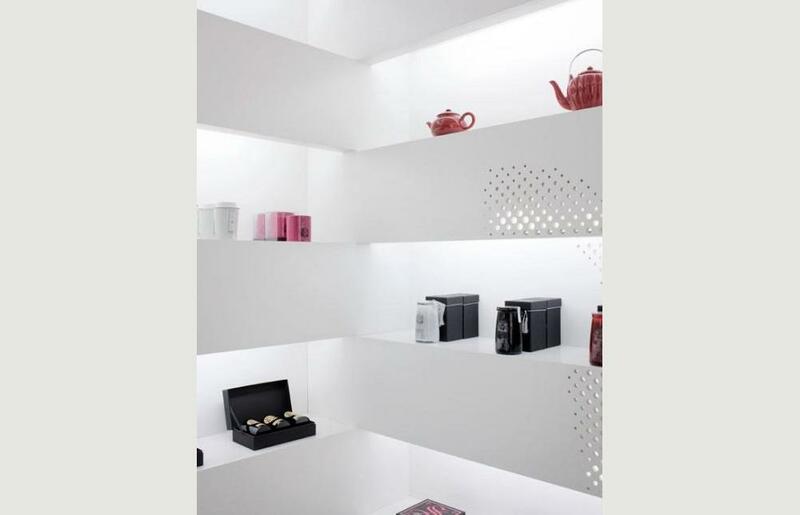 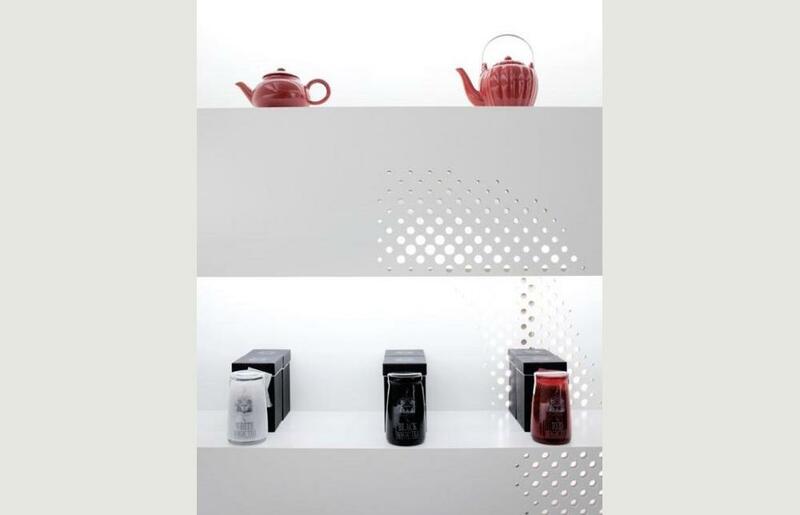 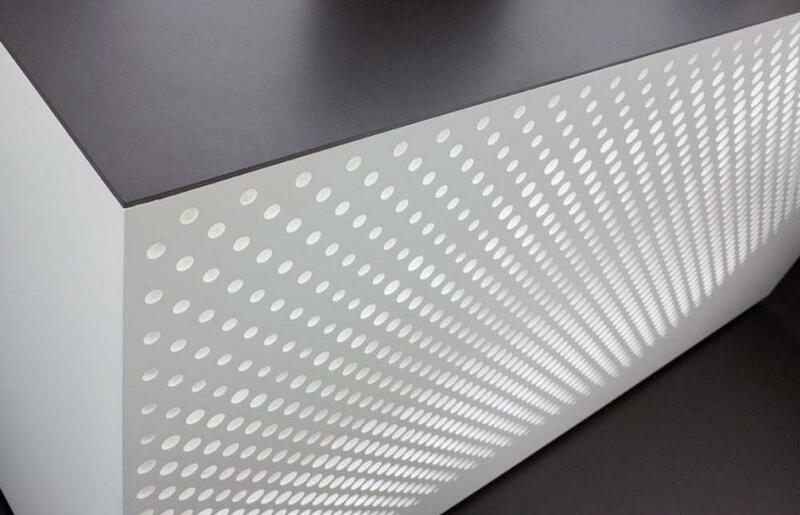 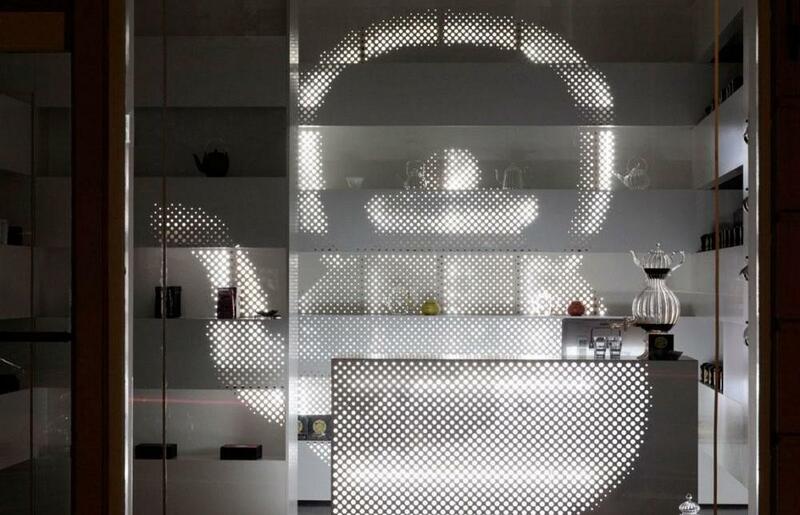 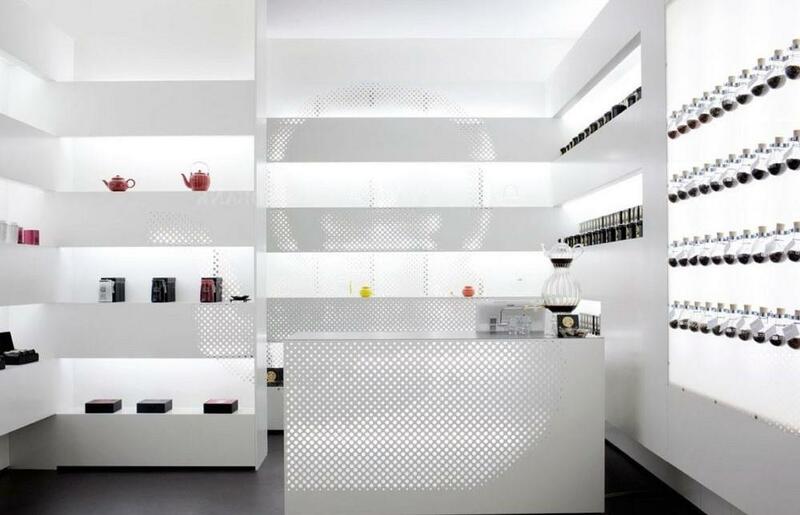 Tiny backlit holes perforate the shelves and the back wall providing a large 3 dimensional image of a Teapot; a powerful eye-catcher. 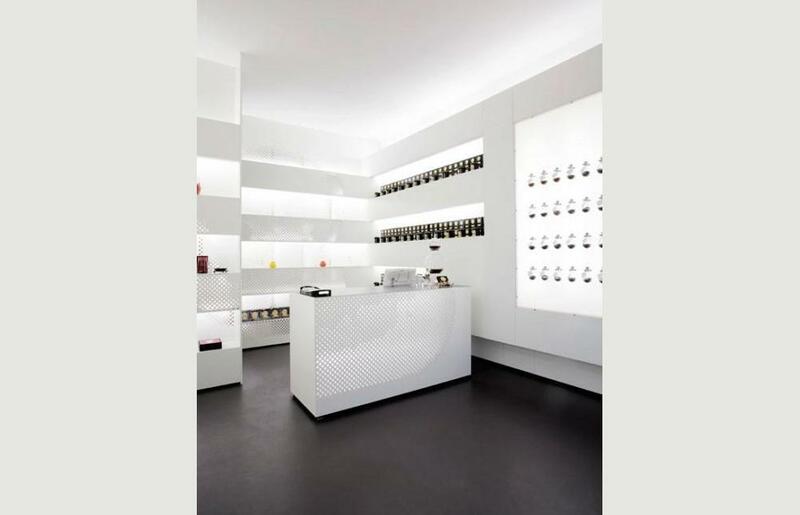 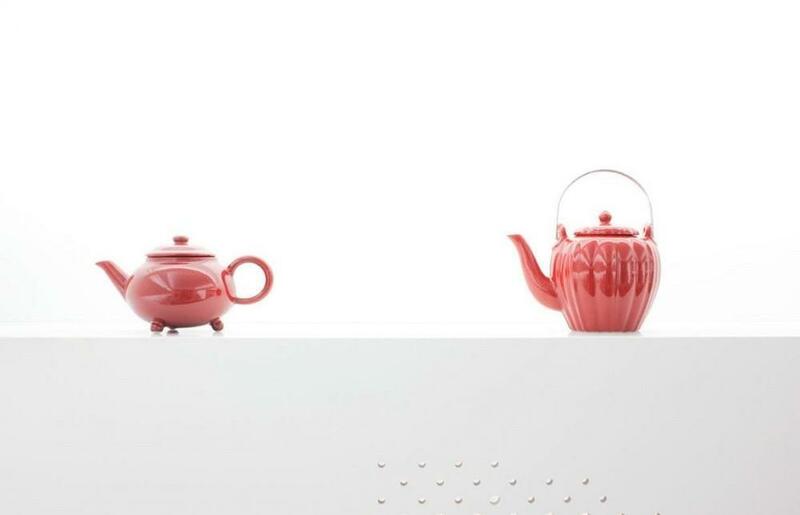 The image of the Teapot dissolves as you approach and becomes the furnishings of the shop.